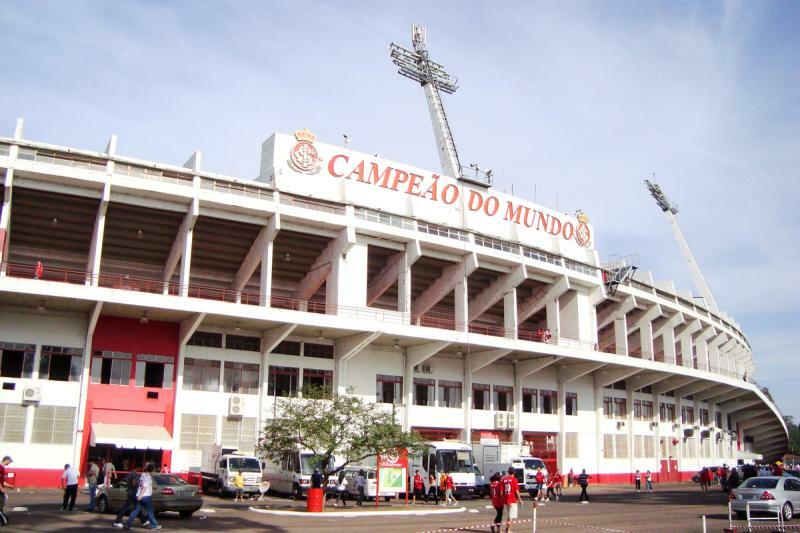 Estádio Beira-Rio got built in the 1950s following a period of successes for Internacional, which had resulted in their Estádio dos Eucaliptos becoming too small. In 1956, the city of Porto Alegre donated the club a site in the river Guaíba, which they first had to drain before they could start construction. Building works started in 1959, but due to a lack of finances Internacional heavily relied on fans contributing the bricks, cement, and iron works. As a result, works progressed very slowly and it took a decade for construction to complete. Estadio Beira-Rio officially opened on 6 April 1969 with a friendly versus Benfica (2-1). Soon after, it got nicknamed O Gigante. The stadium hardly changed over the next decades, and it was only when it got chosen as one of the playing venues of the 2014 World Cup that an extensive redevelopment was announced, which included the demolition and reconstruction of the lower tier and the construction of a new exterior and roof. Works started in December 2012, but soon got plagued by financing issues and consequent delays. In the end, the stadium got completed a few months before the start of the World Cup in early 2014. It reinaugurated on 5 April 2014 with a show of music and theatre. During the 2014 World Cup, Estádio Beira-Rio hosted four first round group games and the round of 16 match between Germany and Algeria (2-1). 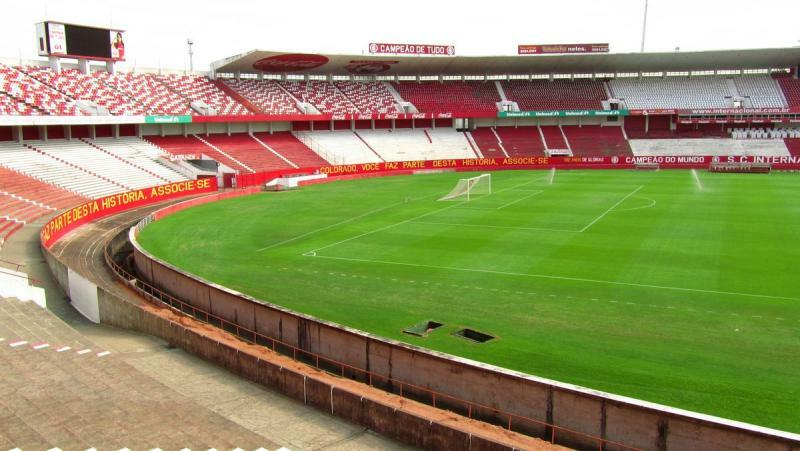 Estadio Beira-Rio is located in the south of Porto Alegre on the banks of the river Guaíba. It lies about 3.5 kilometres from Porto Alegre’s historic city centre. Bus 110 and 111 can be taken from the Avenida Loureiro da Silva, and bus 188 from the Rua Uruguai or Avenida Loureiro da Silva. All buses pass right by the stadium on the Avenida Padre Cacique. 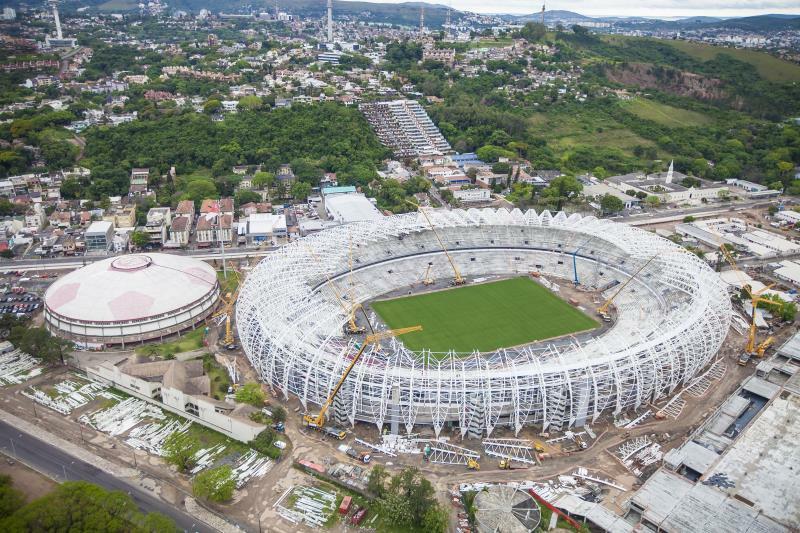 Estadio Beira-Rio is located in between the river Guaíba and the major Avenida Padre Cacique avenue in an area that is a mix of residential housing and the type of retail that you typically find along a major road running into a city. The area around the stadium is of little interest, and while there are a few local eateries around, eating in drinking is best done in Porto Alegre city centre, the Cidade Baixa or Moinhos de Vento area, or at shopping centre Praia de Belas, which lies about 20 minutes walking north of the stadium and boasts a variety of food outlets (and a cinema). There are two hotels located at short distance of Estádio Beira-Rio: the budget Pousada do Parque and the more expensive Blue Tree Towers Hotel. Alternatively, Hotel InterCity Premium and Hostel Porto Tche can just be walked from. Needless to say that there are many more options a little further away in Porto Alegre’s city centre. 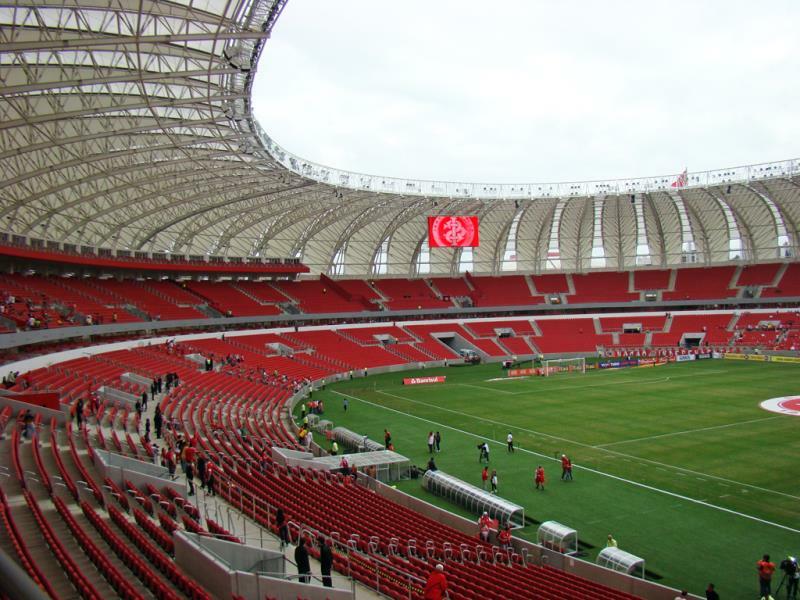 Click here for an overview of all hotels near Estádio Beira-Rio. 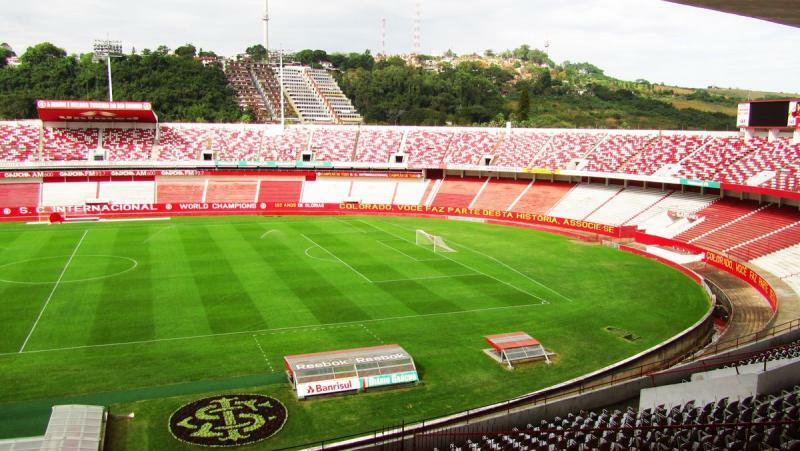 Tickets for Internacional games can be bought online through Superingresso.com, or at the ticket windows of Estádio Beira-Rio. Tickets are also generally available at the ticket windows of the stadium on the day of the match. Identification is required to be able to buy tickets. 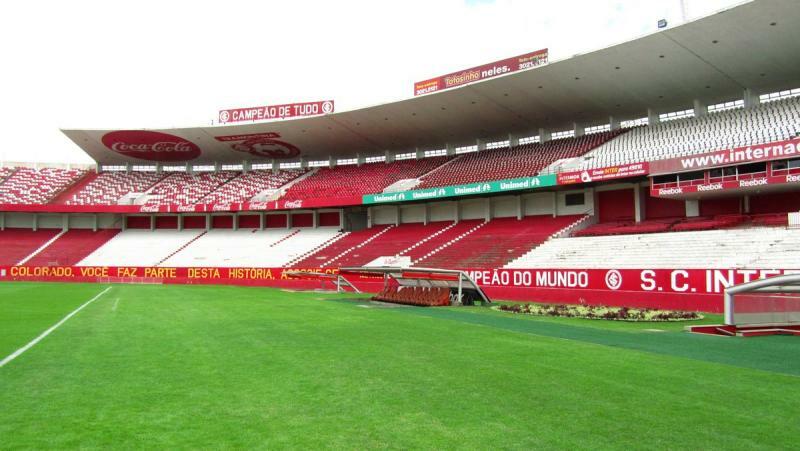 Internacional rarely sell out a regular league match. Expect to pay from BR$ 60.00 for an upper tier seat to BR$ 150.00 for a central lower tier VIP seat. Internacional.com.br – Official website of SC Internacional. Sts.com.br – Porto Alegre public transport information.